Sophie of Württemberg (Sophia Frederika Mathilde; 17 June 1818 – 3 June 1877) was Queen of the Netherlands as the first wife of King William III. William III was King of the Netherlands and Grand Duke of Luxembourg from 1849 until his death in 1890. He was also the Duke of Limburg from 1849 until the abolition of the duchy in 1866. She was born in Stuttgart; her parents were King William I of Württemberg and Grand Duchess Catherine Pavlovna of Russia, the fourth eldest daughter of Tsar Paul I. Sophie and William were first cousins as their mothers were sisters. Shortly after Sophie’s birth, her mother died, and she was cared for by her aunt, Catharina of Württemberg. 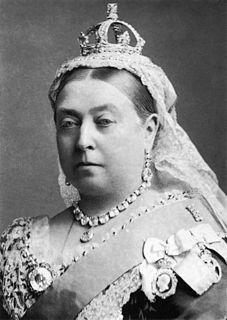 She was niece of tsars Alexander I and Nicholas I of Russia and a cousin of Tsar Alexander II, George V of Hanover and England's Queen Victoria. Tsar, also spelled czar, or tzar, is a title used to designate East and South Slavic monarchs or supreme rulers of Eastern Europe, originally Bulgarian monarchs from 10th century onwards. As a system of government in the Tsardom of Russia and the Russian Empire, it is known as Tsarist autocracy, or Tsarism. The term is derived from the Latin word Caesar, which was intended to mean "Emperor" in the European medieval sense of the term—a ruler with the same rank as a Roman emperor, holding it by the approval of another emperor or a supreme ecclesiastical official —but was usually considered by western Europeans to be equivalent to king, or to be somewhat in between a royal and imperial rank. Paul I reigned as Emperor of Russia between 1796 and 1801. Officially, he was the only son of Peter III and Catherine the Great, though Catherine hinted that he was fathered by her lover Sergei Saltykov, who also had Romanov blood, being a descendant of the first Romanov tsar's sister, Tatiana Feodorovna Romanova. Prior to her marriage, King Otto of Greece and Duke William of Brunswick were possible suitors for Princess Sophie. The engagement with the first came to nothing because Princess Sophie's ambitious father had no confidence in the newly established Greek monarchy of Otto. Chance prevented a proposal by the second candidate because her father let it be known that Princess Sophie was already betrothed. Otto was a Bavarian prince who became the first modern King of Greece in 1832 under the Convention of London. He reigned until he was deposed in 1862. She married the Prince of Orange (later King William III) in Stuttgart on 18 June 1839 with the idea that she would in the end succeed in dominating him. [ citation needed ] The couple returned to the Netherlands and established themselves at the Plein Palace and—after they had become king and queen—at the Noordeinde Palace. They had three children. The marriage was not a success. King William's mother, whom he completely relied on, was totally against the marriage to a daughter of the sister she loathed and treated her daughter-in-law and niece with disdain. Intellectually, Queen Sophie was superior to her husband. She, on the other hand, did not fit his sensual character. While he loved contemporary painting, music and theatre, she was a lady of letters with a specific interest in history. William III had several extramarital relations. She let it be publicly known that she found him inferior and unsuitable to be king and that she would do better as a regent for her son. Noordeinde Palace is one of the three official palaces of the Dutch royal family. Located in The Hague in the province of South Holland, it has been used as the "working palace" for King Willem-Alexander since 2013. Queen Sophie tried to separate from him, but this was refused; the state interest had to prevail. From 1855 the couple lived separately during the summer season, he at Het Loo Palace and she at Huis ten Bosch Palace. She also spent time in Stuttgart, with her own family. Queen Sophie died at Huis ten Bosch Palace in the Hague. She was buried in her wedding dress, because, in her own view, her life had ended on the day she married. Legal separation is a legal process by which a married couple may formalize a de facto separation while remaining legally married. A legal separation is granted in the form of a court order. In cases where children are involved, a court order of legal separation often makes child custody arrangements, specifying sole custody or shared parenting, as well as child support. Some couples obtain a legal separation as an alternative to a divorce, based on moral or religious objections to divorce. Het Loo Palace is a palace in Apeldoorn, Netherlands, built by the House of Orange-Nassau. Queen Sophie corresponded with several European scholars and maintained warm ties with Emperor Napoleon III and Queen Victoria. She protected and stimulated the arts, supported several charities, including animal protection and construction of public parks. She was the 540th Dame of the Royal Order of Queen Maria Luisa. Maria Luisa of Parma was Queen consort of Spain from 1788 to 1808 by marriage to King Charles IV of Spain. She was the youngest daughter of Philip, Duke of Parma, the fourth son of Philip V of Spain and Louise Élisabeth of France, the eldest daughter of King Louis XV. 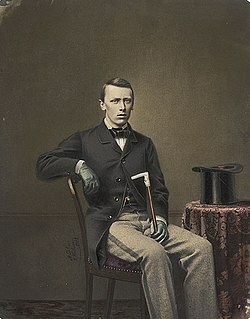 Prince William (1840–1879), Prince of Orange from 1849 until 1879. Prince Maurice (1843–1850) died in childhood. Prince Alexander (1851–1884), Prince of Orange from 1879 until 1884. Spain : 540th Dame of the Order of Queen Maria Luisa – . Wikimedia Commons has media related to Sophie of the Netherlands . The generations are numbered from the ascension of Frederick I as King of Württemberg in 1805. Generations are numbered from William I of the Netherlands. Emma of Waldeck and Pyrmont was Queen consort of the Netherlands and Grand Duchess consort of Luxembourg by marriage to King-Grand Duke William III. An immensely popular member of the Dutch Royal Family, Queen Emma served as regent for her daughter, Queen Wilhelmina, during the latter's minority from 1890 until 1898. Anna Pavlovna of Russia was a queen consort of the Netherlands. Charlotte, Princess Royal, was Queen of Württemberg as the wife of King Frederick I. She was the first daughter and fourth child of King George III of the United Kingdom and his wife, Charlotte of Mecklenburg-Strelitz. William I was King of Württemberg from 30 October 1816 until his death. Grand Duchess Olga Nikolaevna of Russia was a member of the Russian imperial family who became Queen consort of Württemberg. William, Prince of Orange, was heir apparent to the Dutch throne as the eldest son of King William III from 17 March 1849 until his death. Alexander, Prince of Orange, was heir apparent to his father King William III of the Netherlands from 11 June 1879 until his death. Grand Duchess Catherine Pavlovna of Russia later Queen Catharina Pavlovna of Württemberg, was the fourth daughter of Tsar Paul I of Russia and Duchess Sophie Dorothea of Württemberg. 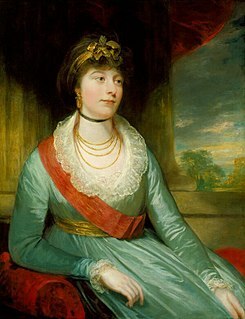 She became the Queen of Württemberg upon her marriage to her first cousin Crown Prince William who eventually became King William I of Württemberg in 1816. Princess Marie of Waldeck and Pyrmont was the third daughter of George Victor, Prince of Waldeck and Pyrmont and his wife, Princess Helena of Nassau, younger half-sister of Adolphe, Grand Duke of Luxembourg. Prince Alexander of the Netherlands, Prince of Orange-Nassau was born at Soestdijk Palace, the second son to King William II of The Netherlands and Queen Anna Paulovna, daughter of Tsar Paul I of Russia. He was nicknamed Sasha within his family. Princess Friederike of Hanover is a member of the Royal House of Hanover. She is a niece of Prince Philip, Duke of Edinburgh. William II was King of the Netherlands, Grand Duke of Luxembourg, and Duke of Limburg. Pauline of Württemberg was a daughter of Duke Louis of Württemberg and Princess Henriette of Nassau-Weilburg. She married her first cousin King William I of Württemberg and was his consort. Princess Helena of Nassau was a daughter of William, Duke of Nassau, and consort of George Victor, Prince of Waldeck and Pyrmont. Princess Marie of the Netherlands was the fourth child and younger daughter of Prince Frederick of the Netherlands and wife of William, 5th Prince of Wied. She was the mother of William, Prince of Albania. She was the last surviving grandchild of William I of the Netherlands. Princess Pauline of Württemberg was the elder daughter of William II of Württemberg and wife of William Frederick, Prince of Wied. She was for many years the regional director of the German Red Cross, in western Germany. Prince Frederick Charles Augustus of Württemberg was a General in the Army of Württemberg and the father of William II of Württemberg. Frederick was a member of the Royal Family of Württemberg and a Prince of Württemberg. Duke Eugen of Württemberg was a German prince and a staff officer of Württemberg. 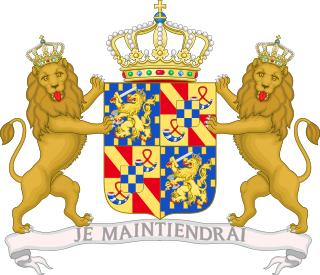 The royal descendants of John William Friso, Prince of Orange currently occupy all the hereditary European royal thrones, with Friso and his wife, Landgravine Marie Louise of Hesse-Kassel, being the most recent common ancestors of all the European monarchs. Due to the intermarriage of the European royal houses, many monarchs are descended from Friso in more than one way. Through history, Friso has also been the ancestor of many monarchs whose thrones no longer exist.